CARACAS - The presidential vote in Venezuela will now be held a month later than planned. The National Electoral Council (CNE) announced yesterday that the election that was scheduled for April 22 will now be held on May 20, after an agreement was reached between the government and some of the country’s small opposition parties. Venezuelan officials say the agreement is intended to give candidates more time to campaign and to allow millions of Venezuelan exiles to register to vote abroad. They say it should also pave the way for a jointly proposed team of electoral observers from the United Nations. The leading opposition coalition is boycotting the poll describing it as a farce to legitimize a dictatorship. However, one presidential hopeful, Henri Falcon of the Progressive Advance party, has launched his candidacy. 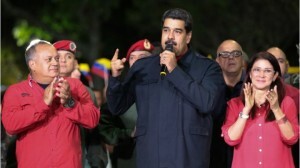 However, Reuters is reporting that opposition supporters in the camps of Nicolás Maduro’s two strongest opposition rivals, Leopoldo Lopez and Henrique Capriles – who are both barred from contesting the election –, have called Falcon a “sellout” and are urging voters to stay away from the polls to isolate Maduro and delegitimize what they say will be a rigged win. Luis Romero, who leads Falcon’s party, said the only way to bring about change is via the polls, and not through protests similar to those that caused nearly 130 deaths last year. “Venezuelans want to get rid of Maduro, but not by killing each other in the streets,” he told the news agency. Maduro is hoping to secure a second six-year term in office in the snap poll. Presidential elections are usually held in Venezuela in December, but the April election date was announced last month.